Curated by Adnan Yildiz with the assistance of Kim Einarsson of Konsthall C, “The Collective Coral Colony” is inspired by Alfred Döblin's historical novel Berlin Alexanderplatz, initially published in 1929 then later made for television and directed by Rainer Werner Fassbinder; this work serves as a launch pad for contemporary analysis of five chosen artists' relationship with both their respective cities and the notion of a collective insight. For reference, Döblin's Berlin Alexanderplatz concerns itself with slippery slope between the working class and society's 'underbelly' and is written from the perspective of multiple characters who attempt to weave a larger picture of Berlin's city life and complications related to criminal life and any supposed aftermath. The novel's main character Franz Biberkopf and the personified city prove to be inextricably linked through a series of vignettes. “The Collective Coral Colony,” similar to Döblin's Berlin Alexanderplatz, presents five works in a similar fashion, focusing on both psychology and cultural memory as spacial rendering. Attempting to map Berlin's influence as a city from both a political and historical perspective, the exhibition highlights the works of artists ranging in artistic method and practice leading to an inquiry into Berlin's evolving identity, as well as the identities of its artists, citizens and transients. Yildiz claims: “the goal of this discussion is to develop strategies for visually translating this relationship through a political and performative approach to fiction.” He provides his viewers text, image and architectural models, together in a selective ensemble giving each piece breathing room and the ability to communicate within the thematic parameter and directly to the viewer. In Nevin Aladag's Mezzanine (Hochparterre), 2009, a young woman (actress Joanna Praml) stands from an open windowsill where she mouths the words of the residents of Naunynstrasse, Germany, who express their quotidian affairs and discontents regarding their lives and others who share their city. Aladag has recorded the responses of her neighbors, and Praml speaks to the viewer as if she is speaking their words herself formulating an impressionistic medley from the streets. The piece is mesmerizing; Prampl portrays each character present in the audio assemblage with talent and precision; her bodily gestures and attitude changes with each new voice presented. Larissa Fassler presents Alexanderplatz, 2006, which is a cardboard model of Berlin's pedestrian underground system, with the ambition of inverting negative space and drawing attention to seemingly invisible regions which do not seem important at first glance. Johannes Paul Raether presents a performance titled Volksbegierden Totale Rekonstruktion, 2009, which fictitiously represents members of Berlin's post-war city planning committee as finger puppets and shares a reconstruction of Albert Speer's Neue Reichskanzlei made of commonplace foodstuff such as pumpernickel. This piece draws attention Germany's affinity for staunch architecture, otherwise known as “severe” deco, coupled with their desire to reconstruct Berlin's city castle in Marx-Engels-Forum, where until recently stood the East German monument the Palast der Republik. Reminded of Theodor Adorno's translated quote found in Prisms, 1955—“The critique of culture is confronted with the last stage in the dialectic of culture and barbarism: to write a poem after Auschwitz is barbaric, and that corrodes also the knowledge which expresses why it has become impossible to write poetry today.”—this work sheds light upon the futility of attempting to restore Berlin as it was before World War II, for as Adorno criticized, it is impossible to ever view Germany and the rest of the world in the same light after such a tragedy. Culture, the arts, architecture, the city of Berlin and its inhabitants—all had changed and society could not resume again as if nothing had happened. Other video works presented by Annika Larsson and Solmaz Shahbazi do not appear to be as geographically linked to Germany as the aforementioned, yet they illustrate ways in which artists are able to express a collective consciousness by either focusing on a singular character or multiple voices which overlap. “The Collective Coral Colony” is inspired by Berlin, though all works are not obligated to harbor creative content directly linked to Germany's art capital. Larsson's Drunk, 2010, shows an inebriated youth careening in a small white room in fits of bliss, paralysis and confusion. It can be difficult to understand how this video is linked to Berlin's urban context, especially if one believes that all pieces should require a more or less direct and obvious path back to Döblin's Berlin Alexanderplatz. 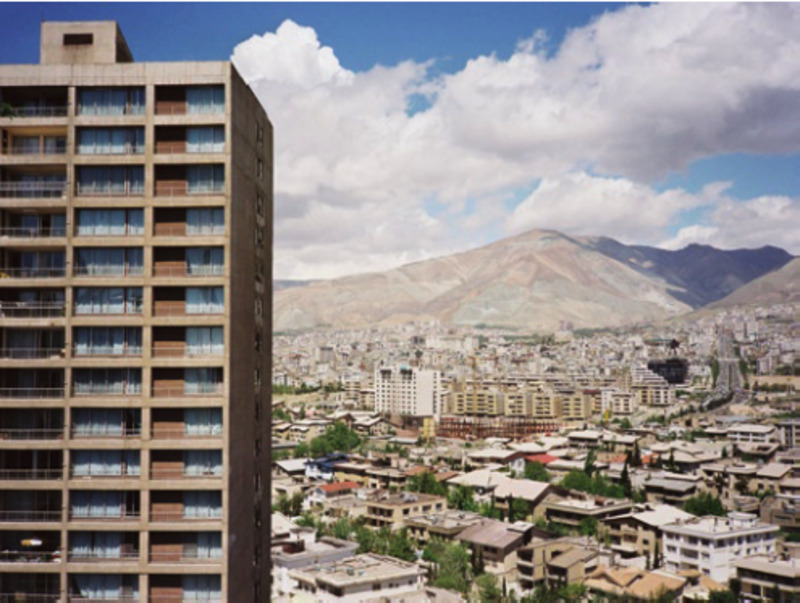 In Shahbazi's Persepolis, 2005, the city of Tehran is brought to life through memory, voices are heard against the visual backdrop of inhabitant's living rooms. Voices are separated from bodies; the viewer is allowed entrance into each resident's personal spaces such as apartment interiors but not granted authority to connect the origin of each voice with the speaker. Both films focus on the power of language as a tool to encapsulate a city's historical narrative. A complex exhibition, Yildiz and Einarsson present a fine melange of works which persuade the viewer to reassess their understanding of how individuals can be made to appear either significant or nominal whilst living and breathing in an urban cityscape, continually influenced by its history.